You know the story. The Southeastern Conference — the once, current, future, and perhaps last king of the Bowl Championship Series — has won six straight crystal footballs and is looking to close out the BCS era with two more. The 2012 season opens with the conference as strong as ever. But whereas the SEC might have seemed in a different category all together these last few years, the competition has slowly but surely crept up. Could another conference find itself holding the crystal ball at the end of this season for the first time since Texas and Vince Young captured it? 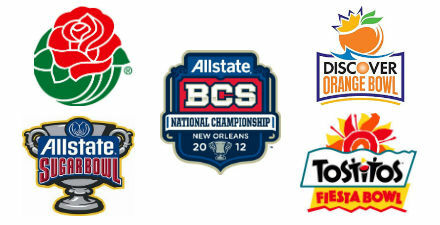 And beyond that — just two sets of BCS bowl games separate us from the coming four-team playoff system. 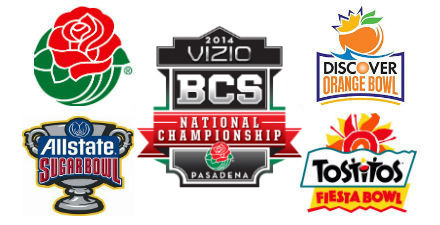 Who will fill the ten BCS slots in this next to the last season of the much derided Bowl Championship Series? Let’s dive into our first set of projections, which will be available by 1 a.m. PST every Saturday night from here until the end of the season. 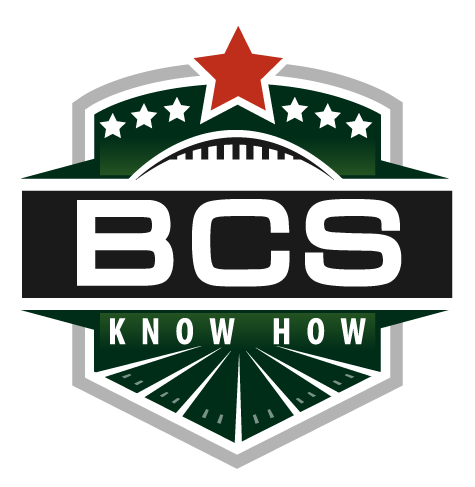 These projections draw on our BCS conference profile series and reflect those projections. Comment: LSU has seen unfortunate circumstances arise in the lead up to its season openers each of the last two seasons. Quarterback Jordan Jefferson brawled before the 2011 campaign, and Tyrann Mathieu found himself kicked off the team before the 2012 season. Despite Jefferson’s suspension and the distraction, the Tigers made an undefeated run through the SEC and secure a title game bid. Expect the loss of Mathieu to prove a minimal blow to another strong-at-all-spots Tiger team. USC sees the weight of the bowl ban lifted off its shoulders at just the right moment — as many expect the Trojans to return to the glory of the pre-NCAA sanctions years. With quarterback Matt Barkley, wide receiver duo Marquise Lee and Robert Woods and running back tandem Silas Redd and Curtis McNeal leading the way, don’t be surprised to the see the Trojans back in the title game after a seven-year absence. Comment: Though it is a rematch of last year’s Rose Bowl, who wouldn’t want to see another edition of that offensive fireworks display from Jan. 2? Oregon might not capture a fourth straight Pac-12 title with USC standing in its way, but keeping up with the Trojans and the rest of the nation’s best would likely mean a repeat trip to the BCS as an at-large selection, and where better than a replacement for the title game-bound Trojans. Wisconsin could easily rejoin the Ducks here in Pasadena on New Year’s Day, as they enter the season with a chance for a third-straight Rose Bowl appearance, though the Badgers have dropped both games. Faced with a tough Big Ten schedule and rising challenges from around the league, it is no easy proposition for the Badgers to return to the Rose Bowl, but they look as equipped as any. Comment: The Sugar Bowl was unable to invite a SEC team to New Orleans last season as the conference sent both its BCS combatants to the title game. Baring a repeat of that history-making event, the Sugar Bowl would likely love the chance to revive its SEC affiliation in the 2013 set of BCS bowl games, and who better to invite than Alabama, which has appeared 13 times before. West Virginia provides an interesting case study on conference expansion and realignment, moving to the Big 12 just when they seemed back in the national conversation. The Mountaineers will likely not only compete for an at-large BCS bowl bid in 2012, but also could vie for the Big 12 crown itself. If they do fall short, the Mountaineers could give an attractive option for a bowl selection committee such as the Sugar Bowl’s, which would be silly to pass up a matchup like this. Comment: A return to former BCS glory might be in the cards for Florida State in 2012, after a few years of preseason hype went unmatched in regular season play. Led by quarterback EJ Manuel, the Seminoles look ready to return to the BCS for the first time in seven years. If Florida State can make it through the ACC, the Orange Bowl will be happy to welcome them back to the BCS. Louisville has quietly built its way to the preseason Big East favorite in 2012, largely on the strength of a strong returning starters corp. Capturing a share of the Big East regular season crown last season wasn’t enough to get them to a BCS bowl, but expect the Cardinals to land here in 2013. Comment: Once again, Oklahoma rides into the season on a wave of hype. Quarterback Landry Jones and the Sooners would sooner forget their fall from the top of the preseason polls in 2011. This season could spell the return of Bob Stoops’ squad to national prominence, but they have to fight through the Big 12 first. If they capture another conference crown but fall short of the title game, the Fiesta Bowl is always here to catch the Sooners. The adage going into the year about Michigan is that it’s a better team than it was in 2011 that’s about to have a worse record in 2012. While this might be true — especially with the schedule the Wolverines are looking at — a strong Michigan team that’s BCS eligible is about as good an option as an at-large selection as any. Again, the Fiesta Bowl would be silly to pass up on this potential meeting. The preseason 2012 Coaches’ Poll might be somewhat reminiscent for most college football fans, seeing LSU and Alabama atop the rankings once again. But USC’s No. 3 spot is all the more stark, given the Trojans’ ban from the rankings last season as part of their NCAA sanctions. The first week of the college football season rarely reveals much to illuminate the season to come. Blowout victories and third-stringers playing in the fourth quarter is the norm. 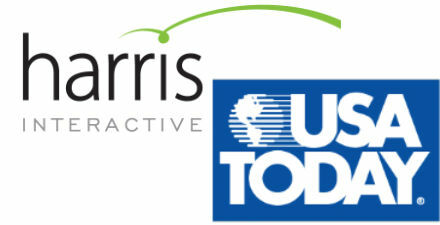 In 2011, however, quite a bit was revealed during college football’s first week. Some preseason favorites looked great, (Alabama, Oklahoma, Stanford, Wisconsin) while others (Oregon, Notre Dame) didn’t quite pass muster on their first go ’round. How will that change the projected BCS bowls? Well not too much in the first week of play, but there is definitely a different feeling in the air after one week of play. The dominoes seem ready to start falling, the question — as it always is — will be which one goes first? For reference, the at-large selection order for the 2012 bowl slate (after hosting contracts have been filled and the NCG is filled) is: Fiesta, Sugar, Orange. Comment: Oklahoma looked like the preseason favorite it was meant to be against Tulsa, easily dispatching the Golden Hurricane. The Sooners will have a far tougher test come Sept. 17, the next time they hit the field, when they play Florida State. A win there, however, would give the Sooners a firm position very early in the year. Drama surrounded the final days of LSU’s offseason, but now, could the possibility of a national championship surround the final days of its actual season? LSU showed just the kind of power and effectiveness that could get them all the way to the BCS title game. Of course, standing in their way is a daunting schedule, but the Tigers impressed more than any Saturday. Comment: Two teams looking to return to BCS bowls this season showed the same power and finesse during week one that got the Cardinal and the Badgers to the Orange and Rose bowls respectively. Stanford and Andrew Luck plastered San Jose State, while Wisconsin had no trouble filling up the scoreboard against UNLV. Expect more of the same moving forward from both. Comment: Alabama likely has higher aspirations than the Sugar Bowl, but if LSU is to win the SEC and take the BCS NCG bid away from the Tide, don’t be surprised to find their explosive offense in New Orleans anyways. Boise State proved once again that they’re a legitimate contender, no matter the flack they receive in the press. Taking down yet another ranked opponent on national television during the first weekend, the Broncos are once again in the chase for the title. But if they still can’t become the ultimate BCS buster, then a Sugar Bowl could be in the cards. Comment: Florida State breezed by the competition on its opening weekend, easily topping Louisiana-Monroe. Of course, playing the Sun Belt doesn’t reveal much about the Seminoles potential as ACC champions, but it did show a strength in the team early. Next week should be just as easy a breeze, as FSU takes on Charleston Southern, but after that, the Sooners await. South Florida showed a surprising amount of fight against Notre Dame and shocked much of the country by posting a victory in South Bend. That’s good enough to see the Bulls as having a real shot at the Big East crown. Comment: Two teams whose weekends didn’t go quite as planned, but both have plenty of time to recover and reconstitute a run at a BCS bowl. The matchup here is still too inciting for any bowl to pass up, and the Fiesta Bowl would certainly love to see it. 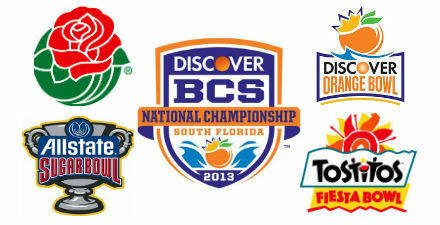 A wide open college football landscape gives us another year of a nearly impossible-to-predict BCS bowl slate. Will we see yet another SEC champion or is it time for another conference to rise to the top of the pack? Ten spots, five bowls and one national champion. The chase starts Thursday, but these teams seem best suited for a BCS bowl run today. Two weeks from now? Could be a whole different picture. The college football season begins today. Are you ready? Comment: Oklahoma has once again claimed the spot as a preseason darling of the pollsters around the country. The question, as it always seems to be, is can coach Bob Stoops deliver on yet another team filled with NFL-caliber talent and all kinds of potential with a BCS bowl victory and — more importantly a BCS national championship? Alabama, who seem ready to go once again after missing out on its shot at a repeat crown in 2010, seem to be the de facto favorite in the SEC, especially considering the drama surrounding the LSU program. ‘Bama has a favorable schedule all things considered in the tough SEC West, but could very easily claim that crystal ball once again. Comment: Stanford spent much of 2010 playing second fiddle to Oregon, but in 2011, all that could be different. With the Heisman favorite behind center in Andrew Luck and skill to fill nearly every position, the time is right for the Cardinal to take advantage of a relatively weak Pac-12 top-to-bottom. Wisconsin claimed the Big Ten’s automatic BCS bid last season on the strength of its BCS ranking. No tiebreaker will be necessary this season, as the Big Ten’s new 12-team format allows the conference to hold its own conference championship game, but there’s plenty of reason to believe Wisconsin could once again claim the conference’s automatic bid. Comment: The Sugar Bowl has had the luxury these past few years of having first choice of the eligible at-large BCS teams as it has lost the SEC champion to the BCS National Championship Game every year during the BCS’s double-hosting format. There’s no reason to think this year will be any different, and with LSU likely prepping for a high-flying season, the Tigers would be a perfect fit for the Sugar Bowl’s New Orleans locale. After they take their replacement, the Sugar Bowl will have to wait for the Fiesta Bowl to pick twice (once to replace the Big 12 champion Oklahoma and once as the first at-large pick). We’ll project that Boise State, yet again eligible, will be waiting with an attractive record and a consistency in BCS bowls that the Sugar Bowl will have to respect. Comment: The Seminoles fell just short of an ACC title last season and an automatic berth to the Orange Bowl. But with a weakened ACC (especially a weakened Virgina Tech) the time is right for the Seminoles to rise to the top of the conference yet again, and a Orange Bowl berth will be their reward. South Florida (yes South Florida) could join the Seminoles in an all-Florida Orange Bowl by taking the Big East’s bid from a conference that is truly without a 2011 favorite. Skip Holtz and the Bulls might just have what it takes in this toss up Big East year and saddled with the final at-large pick the Orange Bowl will likely see the Big East champ — whoever that might be — fall to it. Comment: If the Fiesta Bowl does in fact lose Oklahoma (or any Big 12 champion) to the national championship game, the bowl would have two of the first three choices among the bowl for at-large teams. The strategy is always unpredictable, but bowls often go for the best available teams and the teams they hope can attract the largest national interest. With Oregon likely providing a top-ten team and Notre Dame the kind of national fan base every bowl hopes to attract, the Ducks-Fighting Irish matchup looks about as juicy as any bowl could hope for, and for now at least, that’s what we’ll project.